After I released the MTU Optimizer, a small tool for determining the optimal MTU, some days ago, let’s look at how to determine the optimal MTU by hand, how to read the currently set MTU and how to set new MTU value now. Of course we will discuss the whole thing for the three major operating systems: Windows, OSX and Linux. Before we look at the implementation within the individual operating systems, we first briefly clarify what the MTU is and how its optimal value can be calculated. The MTU (Maximum Transfer Unit) describes the maximum packet size of a protocol. It therefore indicates the maximum size of a data packet, so that it can be transmitted via a protocol. If a data packet is larger, it becomes fragmented – i.e. divided into several packages. Recently, I bought a netbook for my workshop to control a laser engraver (the DK-8 from Neje). Unfortunately, I had overlooked a small detail. The display of the netbook has only a native resolution of 1,024 x 600 pixels. 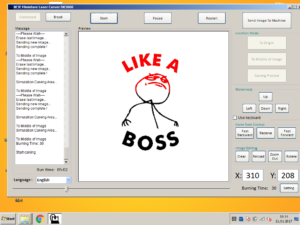 However, the window of the control software requires at least 800 pixels in height, so that some of the software is not visible and thus can not be operated. As I shall deal, due to the university, the next six months with Perl, a appropriate IDE was needed. And because there were not given any installation instructions at my university, I have written down in the following, how you can set up a viable development environment for Perl scripts on Windows. After reading this article you should be able to write Perl code using the IDE “Eclipse”. This has the advantage that in eclipse (by help of plugins) syntax errors are detected, etc.. If you know Eclipse and think it’s too “heavy weight” then you need to be patient for a little bit. In the following days I’ll post a further article in which I’ll describe how you can set up Notepad++ to use it as Perl development environment. 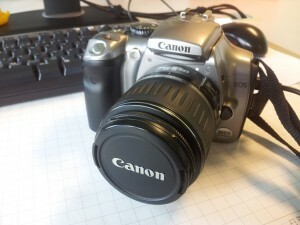 Recently I put my hands on a Canon EOS 300D and should copy a few photos from the camera to the PC. Easier said than done. The camera has a few years under his belt and Windows 7 was seemingly not able to find suitable drivers. Also the Windows driver search did not help. Now comes the part where I want to apologize for the misleading headline. In fact I have no Windows 7 driver for you. However, I have a solution on how to get the Canon EOS 300D running under Windows 7 without additional drivers. Therefore just a setting in the camera menu must be changed. Turn on the camera and click on the “Menu” button on the left edge of the display. 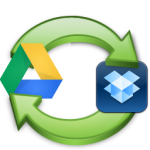 Today I want to show you how you keep the two services Dropbox and Google Drive in sync. The whole thing is easier than perhaps previously thought. Both, Dropbox and Google Drive, create a local folder on your computer. The files in this folder are then known to be synchronized with the cloud and all connected devices. If you want to protect yourself from data loss, for example, and therefore want to use two systems in parallel, you would have to copy files (after creating or changing them) in both folders (the Dropbox and the Google drives) every time. You can remedy yourself, by pointing the Dropbox folder into a subfolder of your Google Drive. This is very easy.